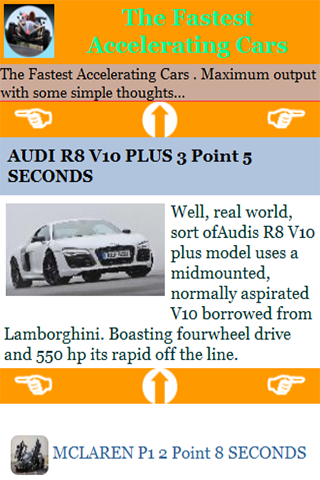 The widely varying testing methodologies mean that, even between identical cars, the acceleration times vary. Some of these differences include: driver/rider, payload, track surface conditions, weather/air temperature and launching technique. 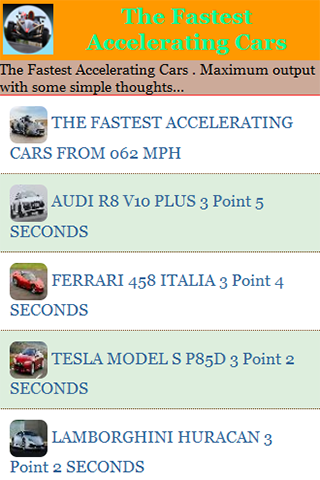 This is a list of the fastest accelerating cars in the world. 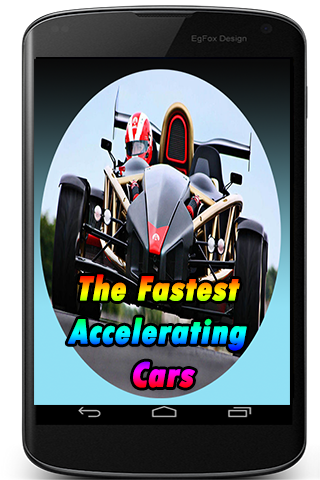 The acceleration is determined according to the time it takes the car to reach from 0 to 100 km/h or 60 mph. All cars in the list are road legal production cars.